Hi all! This week was the beginning of the teaching semester. The first week is always fun--meeting new students and literally molding their first week of college. It's always fun! Anyway I am posting these just in the nick of time! Chaos and Crocodiles is having a pre-order TOMORROW August 30th from 12pm-1pm and 9pm-10pm Eastern Time. You'll even be able to order the Cosmoprof Exclusive, Operation Vegas! So check out my post below! 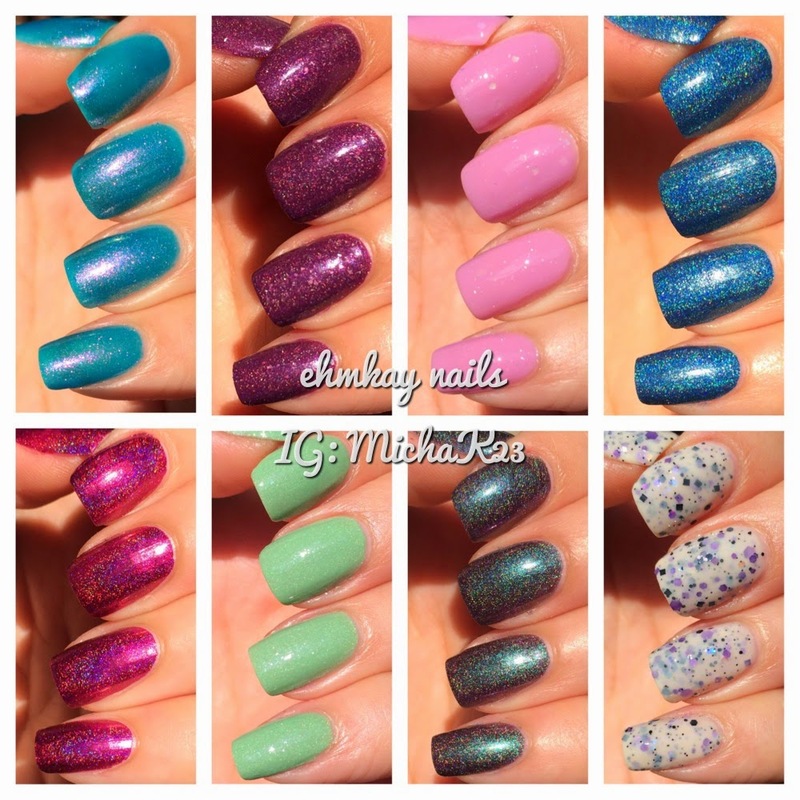 Today I have some swatches of GlitterDaze polishes. GlitterDaze recently re-launched her brand with new packaging and a new collection so check out my post below for swatches. Happy Saturday! Do you have any weekend plans? I had my dear friend's wedding last nightand hope to go to the Renaissance Faire tomorrow. Today...the Every Simpsons EVER marathon. Are you tuning in? It's becoming cooler here in the Northeast which means fall is around the corner. 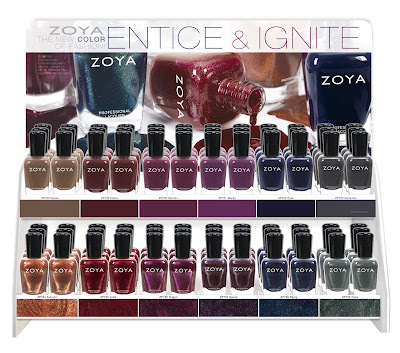 Zoya Entice Collection is full of 5 rich cremes and one shimmer to bring you into fall. Check out my post below for a full review and swatches. Tonight I wanted to share the manicure I wore for my brother's wedding. My brother and his wife have been happily married 9 days, so congrats to them! My dress for their event was a sparkly navy blue dress. It had tiers and glittery beaded straps. I decided to coordinate, pulling the silver as my main color and accenting with blue. Check out my post for more details. Yes it's mid August but Fall isn't so far away. 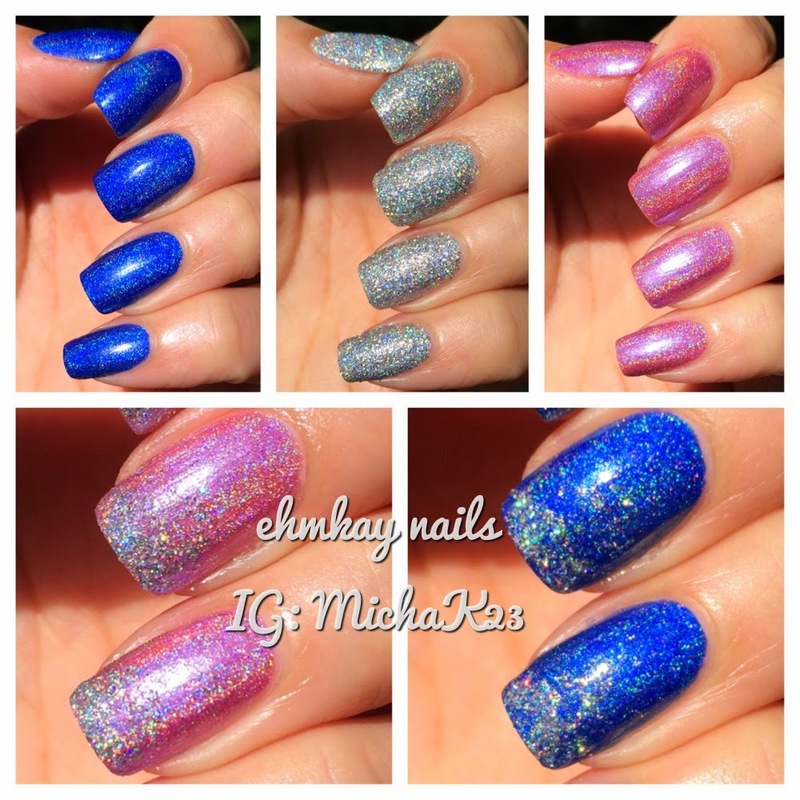 Zoya is here with the Ignite collection that is full of six gorgeous shimmer polishes that Zoya calls "liquid metal" and I can see why! Check out my post for more photos and full review. Glisten & Glow is most known for hand care and top coat but recently, they have debuted nail polish. 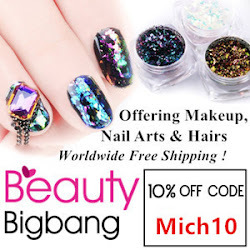 I have a full review of a variety of products below, including the limited edition nail polish I Love You to the Blue and Back below. Stick around for a coupon code for your next order. Today I have something different! 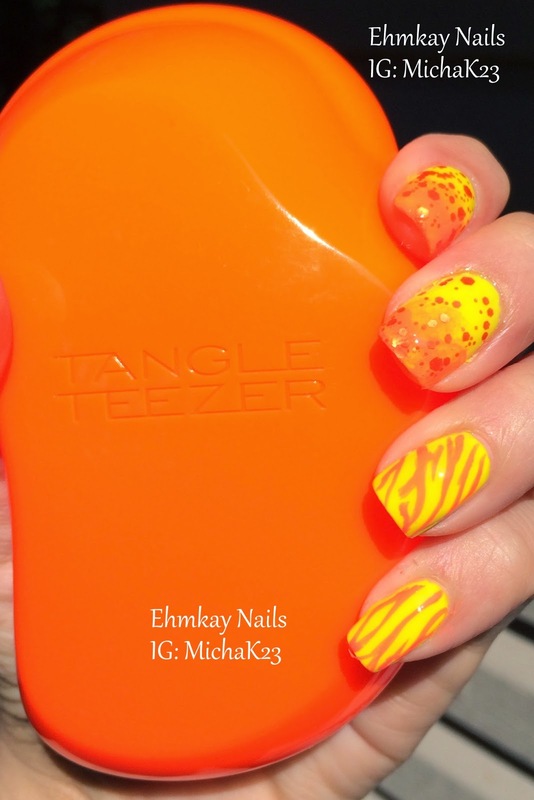 I received these detangling hair brushes by Tangle Teezer while at Cosmoprof. I've been using the regular size for just about a month and I can't wait to share my experiences with this brush. If you have children with tangly hair, or shed a lot using normal brushes (like me! ), check out my post for a full review. 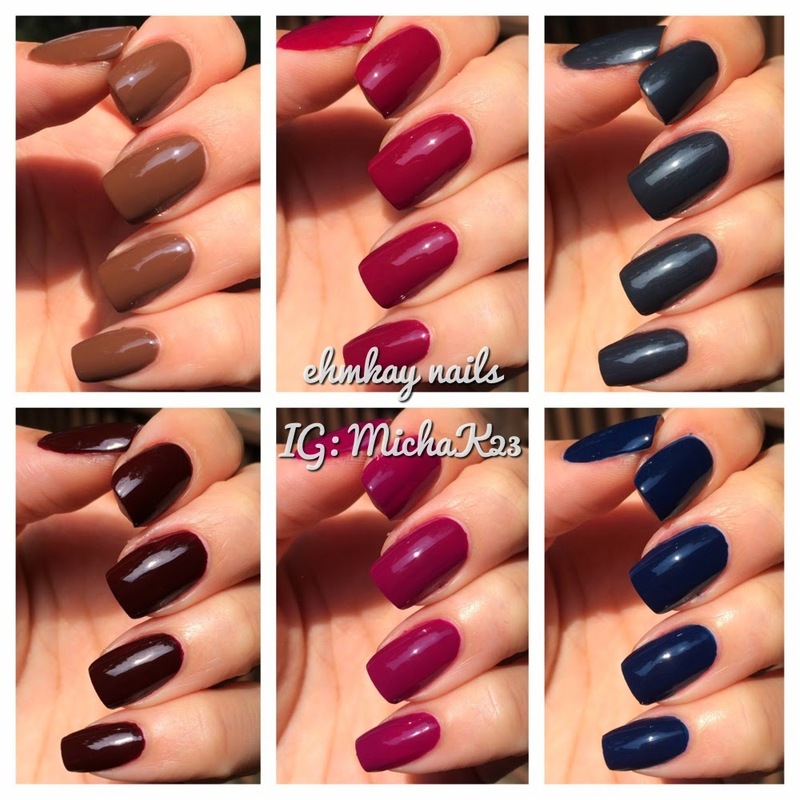 Zoya is releasing a great set of cremes and a great set of shimmers that screams Autumn! Are you ready to see what they have to offer for the Fall season? 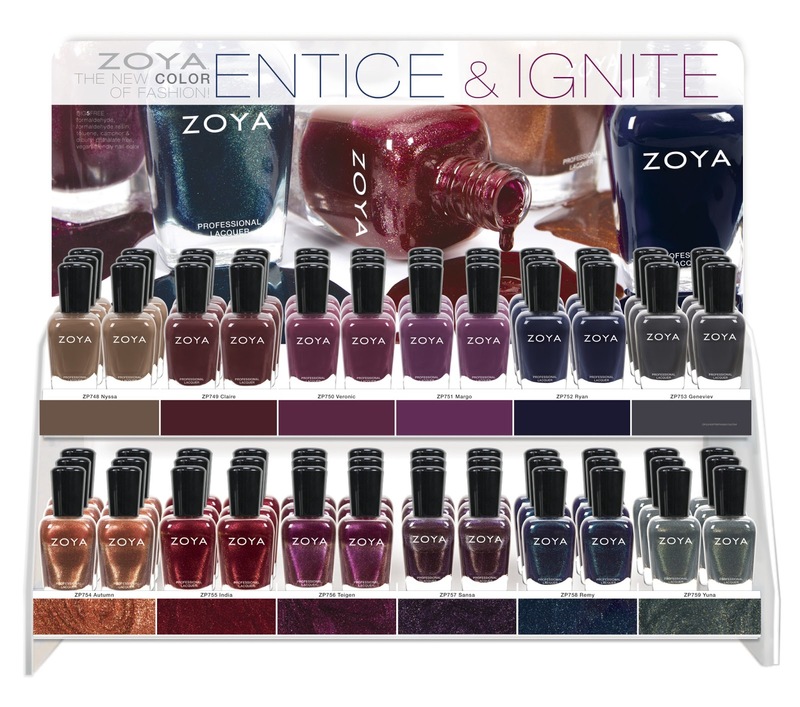 Check out the Zoya Entice & Ignite Collections for Fall 2014 in the press release below. Happy Saturday! Different Dimension will be releasing a new collection, Cosmologically Speaking, on August 17th and today I have three of the polishes plus a coupon code for your next order! 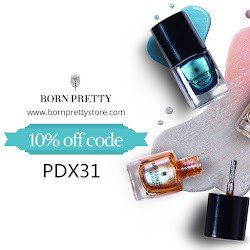 Check out my post below for swatches and review and a way to save on these gorgeous polishes. Happy Friday! I have big plans this weekend. My brother is getting married! I'll be posting my manicure for that soon (first I have to do it!). For now, I have the most gorgeous neon holographic polishes from Cupcake Polish. I have been on the search for a perfect lime green holo polish, and I think I have FINALLY found out! Check out my post below for more on It's Not What You Pink and It's Our Slime Now. Do you ever have a color combination in your head and just never get around to using it? I had these five polishes on top of my helmer for a MONTH and I finally put them on together. I love green and pink together and I love these together! It was a perfect opportunity to finally use Nail Vinyls! Happy Sunday! I hope you all had a great weekend. I celebrated my friend's bachelorette party as she gets married in two weeks! 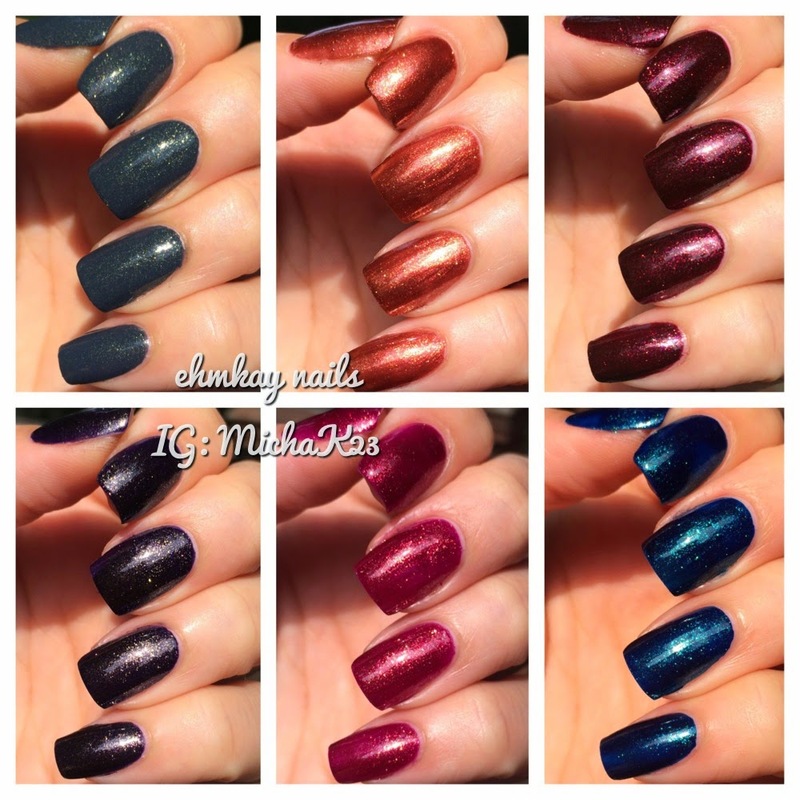 So to unwind from a fun weekend, I have all eight polishes from one of Colors By Llarowe's newest collections, Emily's Imagination, which is filled with holographics, shimmers, and a glitter. There are a ton of picture so read more for details of this collection. When I saw the name of this polish, I knew I had to do some art to match. I have so many polishes to show you all, but I wanted to squeeze in some quick art. Continue reading for more information on Model City Polish and my nail art.